S.S. Caronia - The ship that brought my grandmother to America in 1910. When I was a kid, I always thought my mother’s side of the family was Russian. They spoke Russian and ate Eastern European food that I assumed was Russian. Mom would say she was Ruthenian but I had no idea what that meant. I figured it was another way of saying Russian. I knew that my grandparents came from Austria-Hungary and that seemed like a made-up country so I really didn’t give the Ruthenian thing much thought. I decided to compile information about our family and put it together in a book for my mother’s birthday. As part of the project, I elected to find out about the ship that brought my grandmother to America. Not knowing the year she came here or even the correct spelling of her maiden name made progress exceedingly slow. My persistence paid-off however, when I found her name on a ship’s passenger manifest while searching the Ellis Island and Ancestry.com archives. 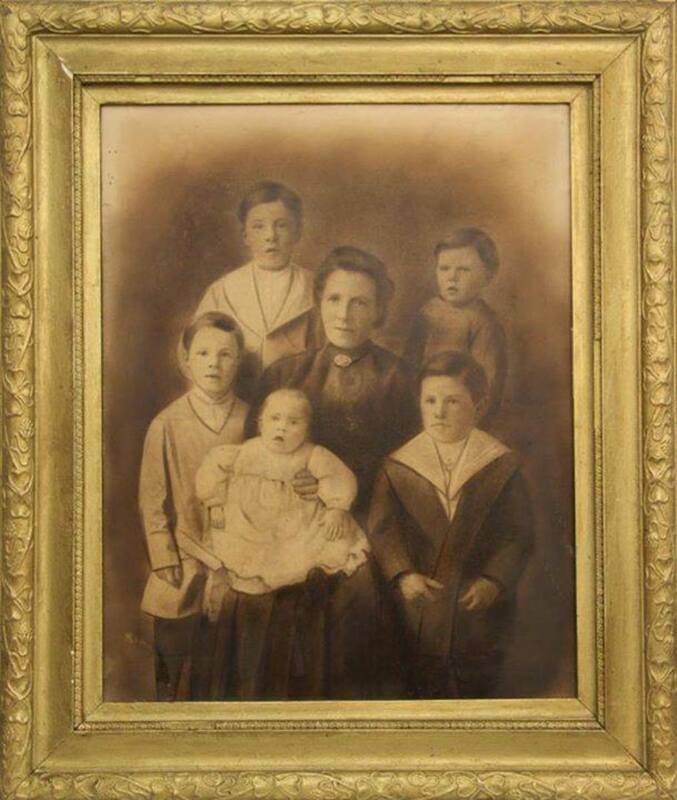 Mari Sagi, my grandmother, boarded the Cunard Line’s RMS Caronia in the port of Fiume, Hungary on Saturday, December 18, 1909 to begin a new life in America. She was sixteen years old. Fiume is modern-day Rijeka, Croatia on the Adriatic Coast and is more than a thousand miles from her home in the Carpathian Mountains. My family research went off on a slight tangent as I uncovered the fascinating history of this ship that carried my grandmother to her new home. The Caronia was built by John Brown, Clydebank, Yard No 362, and launched on July 13, 1904. It was 19,687 gross tons with a length of 650 ft and a beam of 72 ft. Power was provided by twin screw, steam-driven, eight-cylinder quadruple-expansion engines. Cruising speed was 18 knots. After fifteen days at sea, the S.S. Caronia sailed past the Statue of Liberty and into New York harbor on Sunday, January 2, 1910. How exciting and terrifying this must have been for all aboard who left their homes to come to the New World. In a few short years, the RMS Caronia would be pressed into service to fight in The Great War. 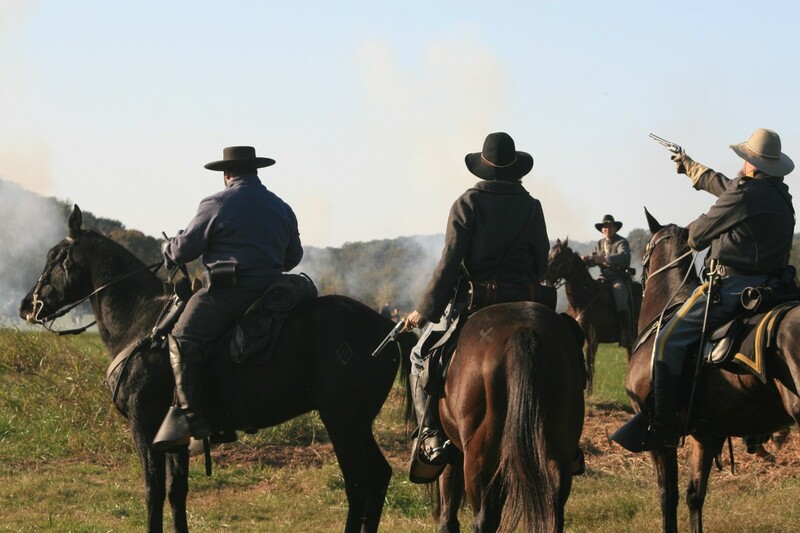 How many immigrants who arrived that Sunday would meet a similar fate? Winter crossings of the North Atlantic were fraught with danger. The more modern and better-equipped Titanic would meet its end in the same waters just two years later. In fact, Titanic received ice warnings from the Caronia that fateful night. The messages were read by Captain Smith and posted in the Titanic’s chartroom, but went unheeded. "At 10:30 that night we received a message from the Titanic to say that she had struck an iceberg. She would then be about two hundred and forty miles away. We established communication with the German steamer Breslau, about forty miles from the Titanic, and the Carpathia, then about sixty miles away. At about midnight the Titanic reported that she was sinking, and asked ships near by to hasten to her. At 2 a.m. she reported that she was sinking rapidly, and that was the last we heard from her." Further research into the ship’s history brought up a puzzling photo. HMS Caronia - Converted into a gunship and seen her in her "Dazzle" paint. In early 1914, the RMS Caronia was converted to an armed merchant ship and put into service in the Royal Navy. On her second day at sea, she captured a German ship loaded with chemicals used to make gunpowder. She later spent time patrolling near the Ambrose lightship in New York harbor and later, ferrying Canadian troops between Halifax and Liverpool. But what exactly is “Dazzle” paint? Further research turned up a wealth of information. 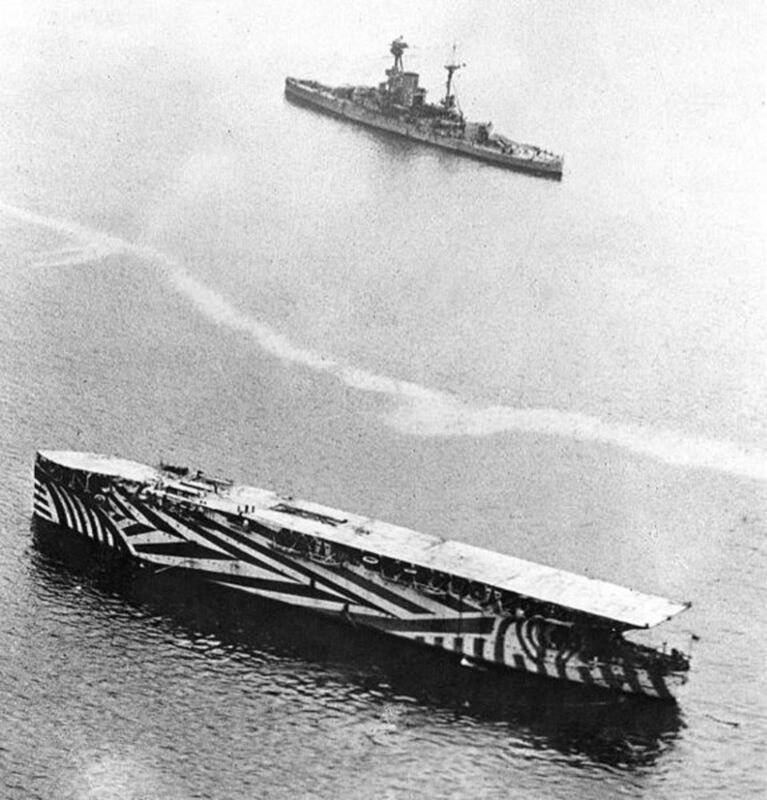 During World War I, the noted painter of maritime scenes, Norman Wilkinson, invented the concept of “Dazzle” painting as camouflage for ships. It used stripes and disjointed lines to make it difficult to for the enemy to estimate the speed, direction, and dimensions of a ship. Rangefinders were based on optical lenses and required the operator to manually compute the range. The operator adjusted the mechanism until two half-images of the target lined up in a complete picture. Dazzle made that process difficult because the images looked out of whack even when the two halves were properly aligned. 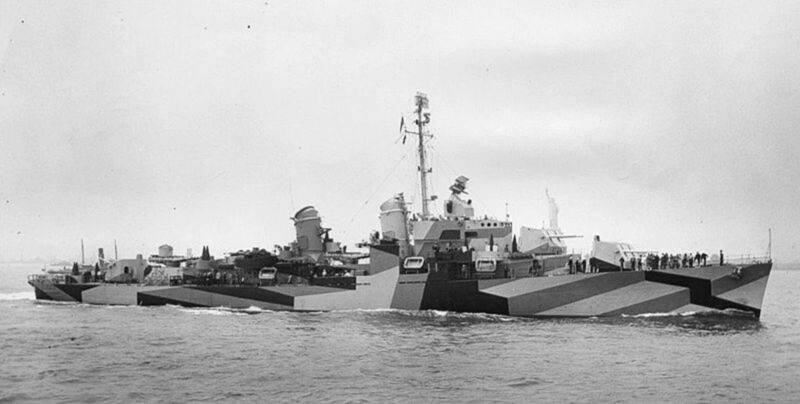 Dazzle patterns often included false bow waves, which were intended to make it hard to estimate a ship's speed. The patterns were custom designed for each ship, and were tested on small wooden models viewed through a periscope in a studio. Most of the model designs were painted by artists from London's Royal Academy of Arts. The designs, once approved, were scaled up for application on the intended ship. The primary object of this scheme was not so much to cause the enemy to miss his shot when actually in firing position, but to mislead him, when the ship was first sighted, as to the correct position to take up. [Dazzle was a] method to produce an effect by paint in such a way that all accepted forms of a ship are broken up by masses of strongly contrasted colour, consequently making it a matter of difficulty for a submarine to decide on the exact course of the vessel to be attacked.... The colours mostly in use were black, white, blue and green.... 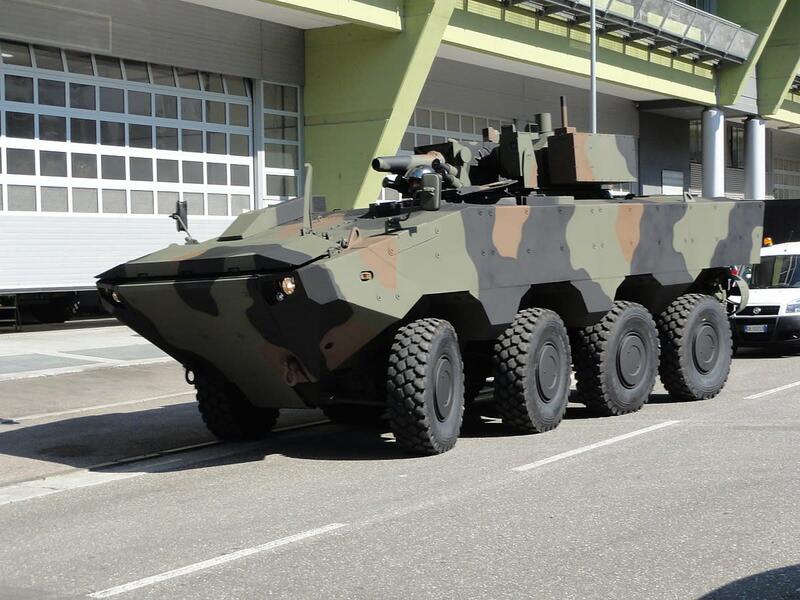 When making a design for a vessel, vertical lines were largely avoided. Sloping lines, curves and stripes are by far the best and give greater distortion. 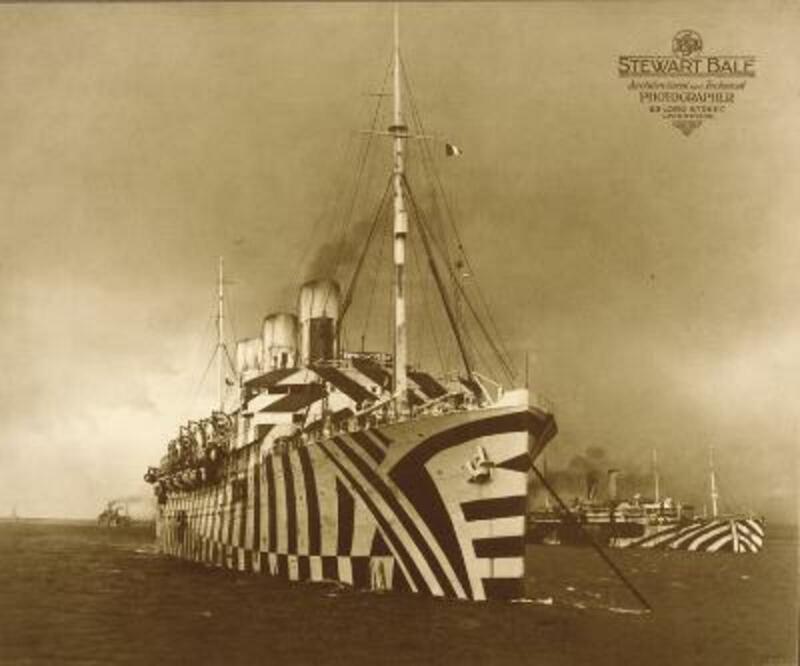 It’s not known how effective Dazzle camouflage was, but it’s said to have had a positive effect on the morale of crews aboard those vessels. I have been unable to find color photographs of dazzle-painted ships, but newspaper records and personal accounts of the time indicate that they were an amazing, colorful sight to behold. 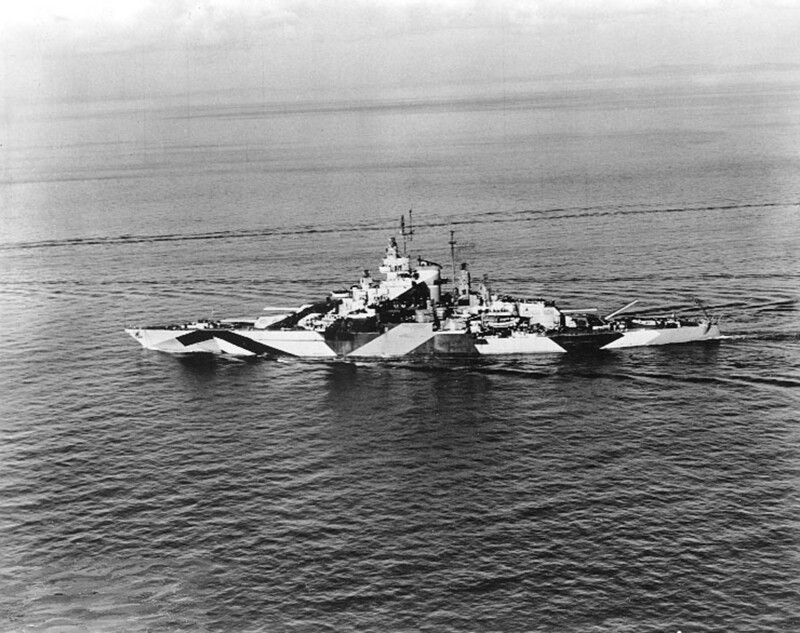 The use of Dazzle painting as a camouflage technique was used to a lesser extent in World War II. Used on destroyers and battleships, its benefits were greatly diminished as radar came into use, but some believe it was effective against submarines. In her day, the RMS Caronia was a marvel of technology, a bridge to America, a protector of freedom, and the way home for war-weary soldiers. After 28 years of service, she made her final London to New York voyage on September 12, 1932. 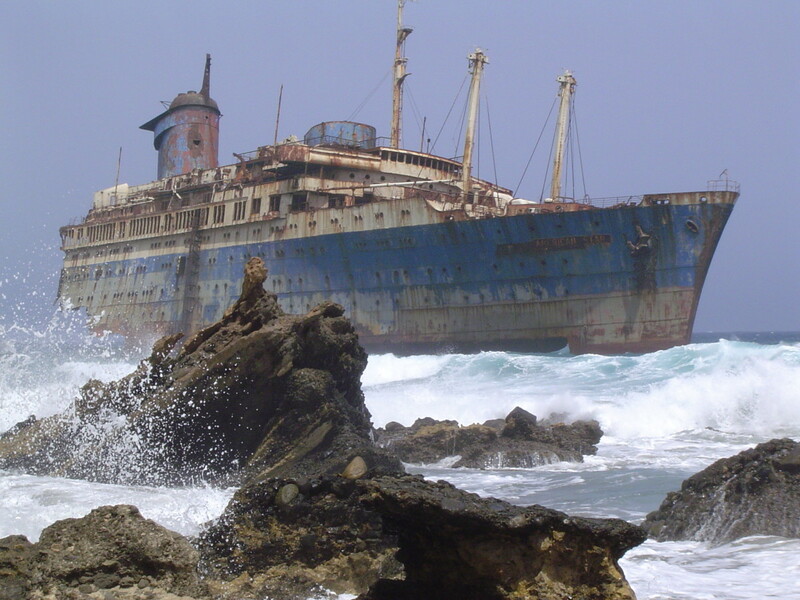 Sold for scrap, Caronia was renamed Taiseiyo Maru and sailed to Osaka for demolition. What started as an attempt to learn about my family, turned into a lesson about nautical history. I did finish the original research project in time for my mother’s birthday, but I always wanted to follow up on this incredible piece of the past. This article is the result. I sometimes cruise into New York harbor on my boat Foamy. Each time we pass the Statue of Liberty, I’m reminded of my grandmother, the Caronia, and all of the immigrants, soldiers, sailors, and marines, who have passed this way. It is a humbling experience. Hi Reginald. Did your father tell you about the ship? He must have been very proud of its history. Thanks for commenting! That is so cool! My grandmother came from a small town (Szerednye) in what was then Austria Hungary and now Ukraine. 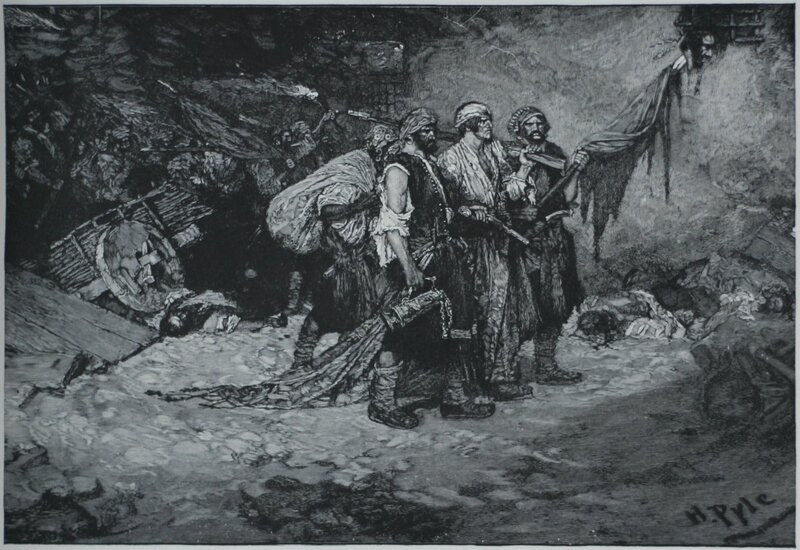 She was Ruthenian. Someone recently contacted me via Ancestry DNA and apparently I have some Romanian background as well. I will reply to your email with a few items I found that may be of interest to you. This is so great! Husband and I are currently in Budapest after spending a few days in Sighet, Romania. My grandmother came from that area in 1910, and amazingly was on the Caronia, arriving into NY on Jan 2, 1910. She was on the same vessel at the same time as your grandmother coming to the US!!!!! We now this from the Ellis Island passenger arrival records. Small world after all!!! Do you know what town your grandmother was from? Hi John, Thanks so much for your comment. Were you able to find much about her journey?